If you missed last night’s premier preview of Feherty on Golf Channel, you’ve got another chance to watch it tonight from 9-10 p.m., when it officially debuts. It’s worth checking out. 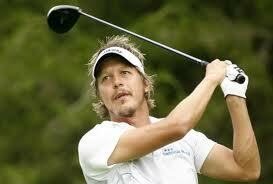 For candid, insightful golf commentary, Brandel Chamblee has overtaken Johnny Miller in my book. 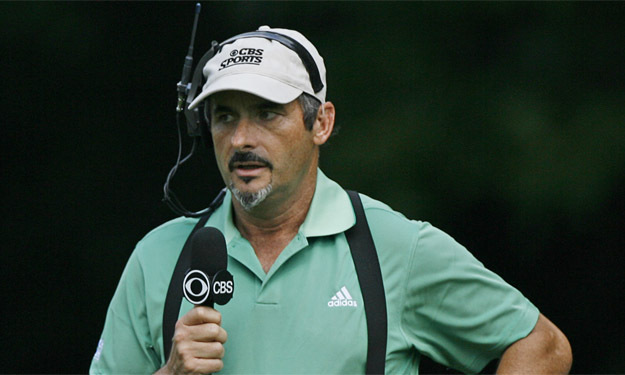 But when it comes to wit, humor and entertainment value, nobody on the scene today can touch David Feherty. Except for the over-the-top intros that have the star acting and looking goofy, Feherty is the freshest thing on Golf Channel. In the span of a half-hour, the CBS and Golf Channel analyst is funny, brutally candid, somber, loosey-goosey and reverential. Most of the premier episode is devoted to Feherty interviewing and essentially kneeling at the alter of Lee Trevino. That’s okay, because Trevino is also an engaging character, with a great story to explore. Besides, during his prime, Trevino never quite got the attention and respect he deserved, laboring in the shadows of Jack Nicklaus, Tom Watson and the still competitive Arnold Palmer. Feherty readily admits that he is perhaps Trevino’s biggest fan. For years, Feherty was clever but largely unseen foot soldier for CBS, spouting hilarious one-liners as he walked the fairways. Then, out of the blue, the funnyman revealed that he had spent years hiding the fact that he was a drug addict, a barely functional alcoholic, not to mention fighting a losing battle to depression. Those close to him surely knew, but not the rest of us. We didn’t find out until after the fact, when Feherty sobered up, lost what must have been 40 pounds, grew a goatee that makes him look like a smiling Lucifer – and reintroduced himself as a more complicated and compelling figure. These days, Feherty can still do goofball quite handily when he wants to, but he can turn on a dime, growing serious as he lays bare his demons to the point you feel awkward watching from the distance and safety of your easy chair. 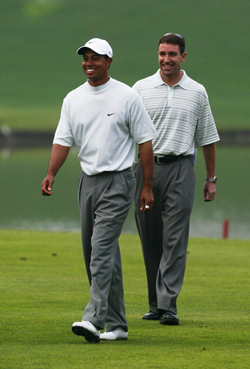 When I heard the news that he was a reformed alcoholic, I immediately recalled one night several years ago at Masters. 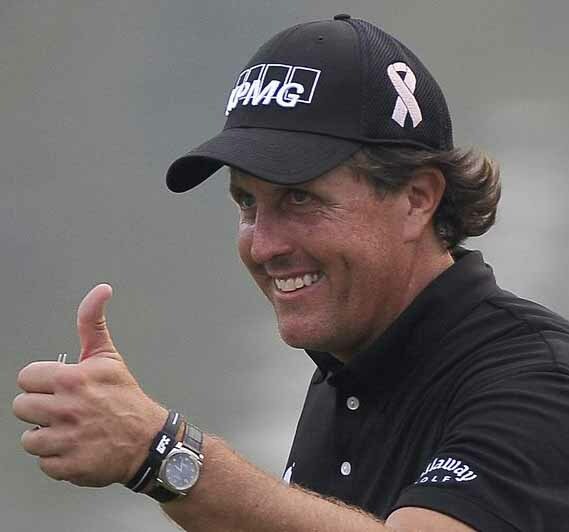 Each year during Masters week, CBS rents a big house with a sprawling yard in the Augusta suburbs; one night of the tournament, they throw a party for the media, network types, golf officials and all manner of movers and shakers. One year, a small cluster of us writer types were out in the yard, sipping beers and shooting the bull, when Feherty walked up and joined the conversation. He probably had a beer in his hand, I don’t recall, but he certainly didn’t appear to be drunk. Then, for whatever reason, he launched into an story about a well-known player (not Tiger) that was so out-of-school and raunchy that it made a bunch of hardly prudish middle-aged sportswriters blanche. I remember thinking the CBS brass would croak if they knew he was out working the party with stories like that. A couple of years later, when he went public with his problems, it all made sense. Feherty must’ve been in the tank that night, even if he hid it well. These days, Feherty is a different guy. I’ve got to believe he has removed that story from his repertoire. Today, he would shake his head at the embarrassment of it all. Feherty was a far better golfer during his career than he lets on today – self-deprecation is part of his shtick; he’s a hell of a golf commentator now, and he’s a polished and funny writer. He’s also got a weekly show of his own that will likely get better by the week. Watching Rory McIlroy rewrite the U.S. Open record book and establish himself as the new darling of golf, it was hard not to wonder whether Tiger Woods was watching. Was Tiger at home, lying on the couch, with his bum leg elevated, staring into some 70-inch plasma high-def, knowing that millions of his old fans have found a new fave – a likeable young fresh face, not unlike Tiger in 1997, when he blew minds as he blew away the field in the Masters by 12 shots? Was Tiger lying there gnashing his teeth, aching for the moment when he is healthy again and able to get back out there to re-establish himself as the king of the golfing jungle? Or was he sweating bullets. 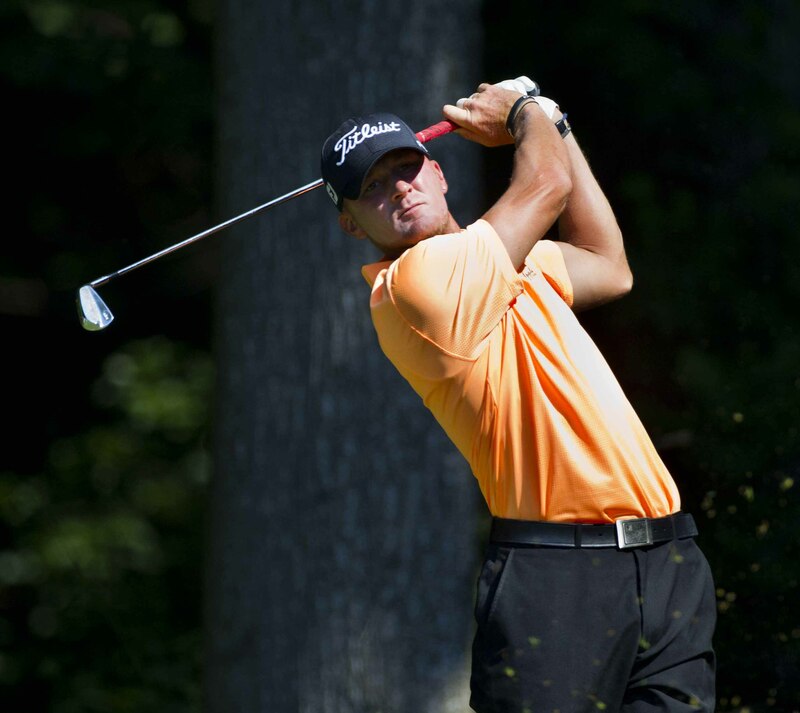 He’s 35 now, not the kid he once was, not the same guy that used to cast the long shadow as he strode to the first tee. 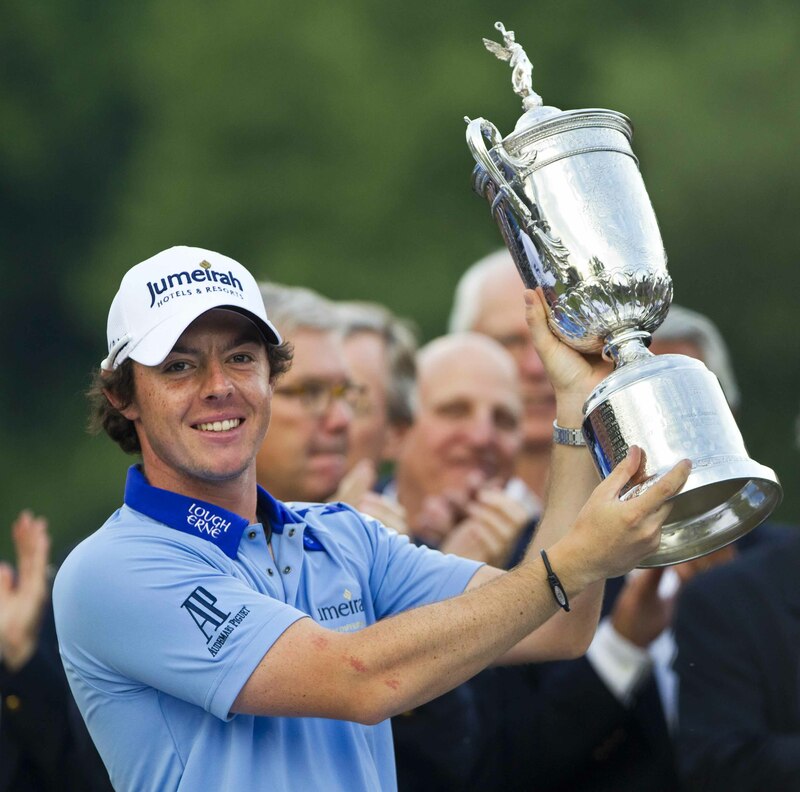 With McIlroy’s herculean victory at Congressional, all four major championship trophies are now held by 20-somethings. Rory McIlroy was 8 when Tiger won the ’97 Masters; Jason Day, the other superstar aborning, was 9. But as the day wore on and Johnny Miller and the NBC team hailed McIlroy’s amazing performance at Congressional, my curiosity about Tiger was eventually supplanted by concern that the media is already hailing this kid is the new Tiger. McIlroy is obviously a big, big talent, and a terrific and humble young man with a very bright future, but he has won exactly one major. He hasn’t lost sight of that and neither should we. Let’s not saddle him with impossible expectations. Let’s not set him up for failure, if he doesn’t begin winning majors at the rate of a young Tiger. The next major is the British Open, in July. You don’t have to be a genius to know what the story line will be: Can this budding superstar deliver again? Is he as good as we thought? If Tiger is in the field, the British Open will be billed as a showdown between the old star and the new kid on the block – i.e. Old Tiger vs. New Tiger. For the media, the temptation is impossible to resist. They need a story to tell. Let’s just hope McIlroy doesn’t turn out to be collateral damage.